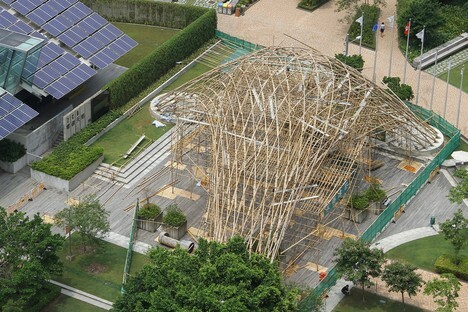 The ZCB Bamboo Pavilion designed by a team of researchers from the School of Architecture at the University of Hong Kong coordinated by Prof. Kristof Crolla was named The Small Project of the Year 2016 at the World Architecture Festival (WAF) in Berlin November 16 through 18, 2016. 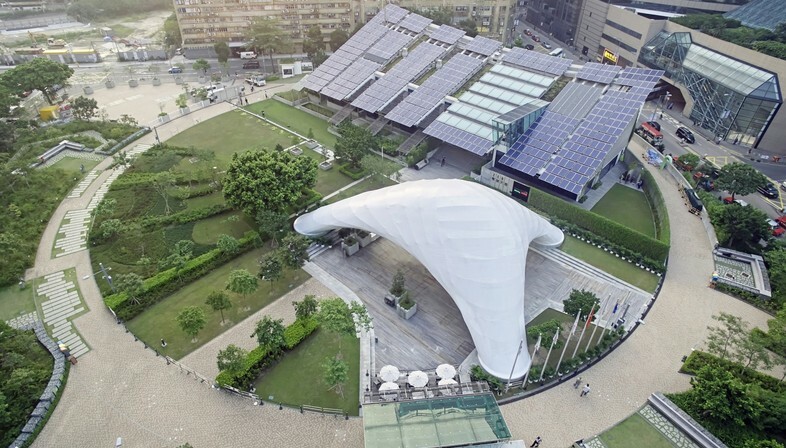 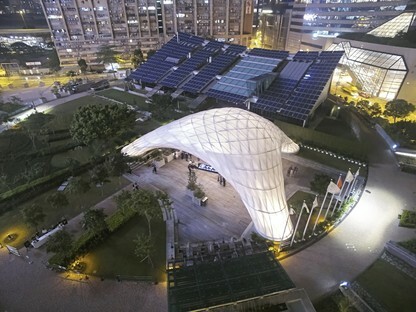 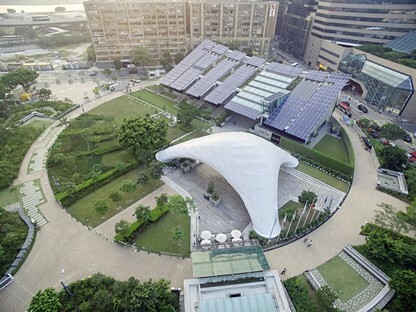 The pavilion for shows, exhibitions and events is a gridshell made of bamboo, exploiting the structural features of the shell and of grid structures to obtain a light but strong construction with a double curvature with a useable surface area of about 350 sqm and the capacity to seat 200 people. 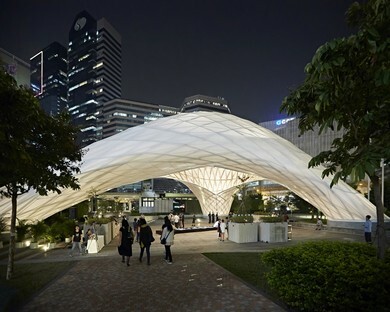 The pavilion is made up of 473 bamboo poles bent on site, and the structure rests on the ground at three points, three big hollow columns which are lit up inside. 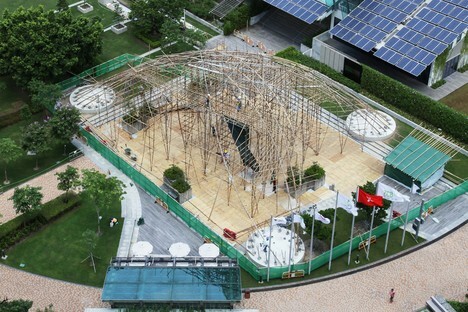 The gridshell is covered with white fabric open at the lower part to reveal the bamboo structure. 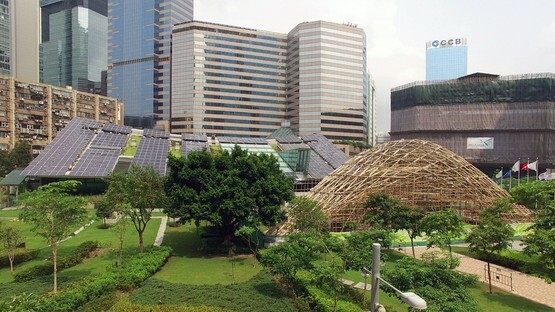 The construction is a successful combination of techniques based on Cantonese building traditions combined with digital modelling and simulation. 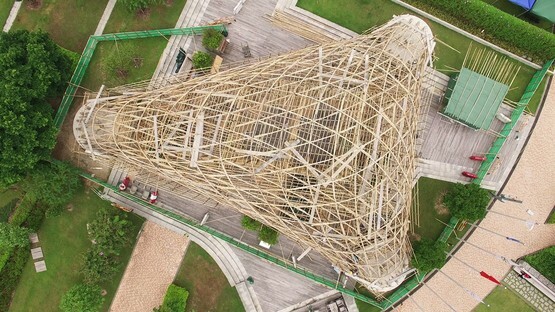 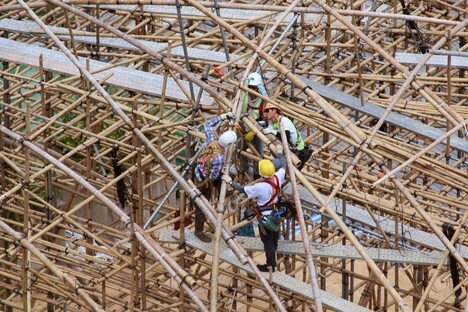 The project also underlines the intrinsic properties of bamboo as a construction material which has a low environmental impact and is widely available in this part of the world, where it is used primarily to build temporary installations or as an alternative to wood or steel.